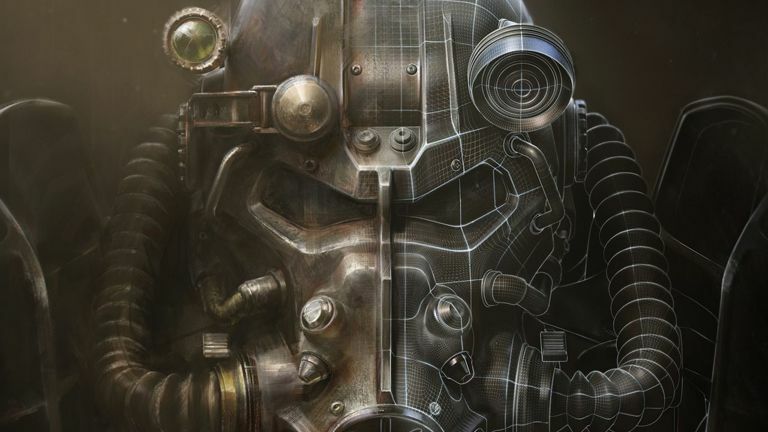 Want to get one of the best weapons in Fallout 4 right at the start of the game? So, we're guessing that if you've got Fallout 4, then by now you are roaming around post-apocalyptic Boston fighting irradiated mutants and scavenging as many screws as possible in an attempt to upgrade your underpowered weapon of choice, right? After all, those feral ghouls are pretty fast aren't they and you're not going to get very far unloading the odd shot from a pipe rifle at them. Well what if you didn't have to bother with all that and could instead get one of the game's best weapons into your hands almost immediately after you left Vault 111? That's right, you'd gnaw my own arm off in an attempt to find out how. If you are one of these cannibals then read on. The 10 mm pistol will not get you far in Fallout 4. Remember when you were leaving Vault 111, there was a reception area with a U-shaped desk with a computer terminal on it. In the corner of that room was a smaller auxiliary room and, within there was a locked cabinet with a rather large gun inside. The cabinet required the master lockpick perk and level 18 to open though, with your character mentioning that they would come back for it at a later point if interacted with. Well you can get this gun right now - you just need to have Dogmeat (the dog you find near Vault 111). How simple is that! Just order Dogmeat to stand in the vicinity of the weapon cabinet, ask him to find you a nearby item, and then watch as the miracle dog thieves the Cryolator and drops it at your feet. No level 18, no high perception trait, and no master lockpicking perk required - just a dumb-looking mutt. Whether or not this trick works with other locked containers in the game is yet-to-be confirmed, however judging on the result here, we're guessing it's worth a shot. If you want the gun though then you should probably act fast, as it seems like something that will be patched out lickety-split. The Gun Runners would be proud! Big hat tip to Kotaku for the reveal.